This show was broadcast on September 21, 2014. 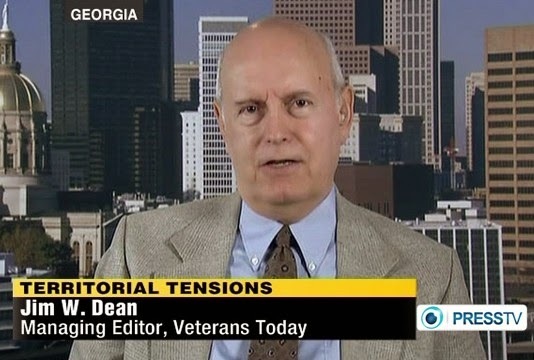 First hour: Veterans Today Managing Editor Jim Dean begins with VT’s revelations about mini-nukes at the World Trade Center; continues with a discussion of suppressed energy technologies; and finishes by lamenting the neocons’ insane aggression against Russia and the world. Second hour: Ph.D. psychologist Robert Soloway, author of a stage play entitled “9-11, The Official Version: A Comedy,” writes: “It is not offensive to survivors or victims, but rather attacks the official version, comically. I am trying to raise funds and/or assistance in producing this play, to help get the message out.” If you can help, contact him at rmsolo[at]comcast(dot)net. 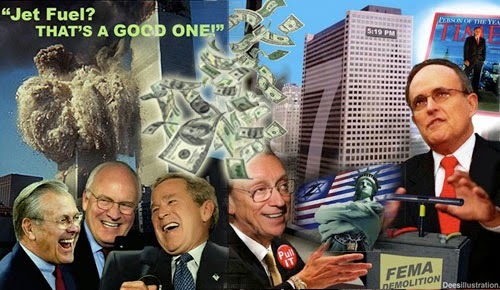 This entry was posted on Saturday, September 20th, 2014 at 10:38 am	and is filed under 9/11, Anti-War, Censorship-Propaganda, Comedy, False Flag/Fake Terror, Freedom, Justice, Kevin Barrett, News, Nuke War - Nukes, Protest, War Crimes. You can follow any responses to this entry through the RSS 2.0 feed.